Join us for 10 nights on the island of Crete to complete the Path of the One Heart School. Over these days you will work in your Jani Tara group to learn how to manifest and fully anchor the codes you have been given by the Masters. You will integrate all the tools you have learned over the past 12 months and begin to put them into practice in a practical way so that you may truly assist and support others. You will learn about being of service to humanity through the divine light of your being and manifesting this path as your truth on Earth. You will receive the gifts from other Jani Taras and have the opportunity to share with them. You will be guided to manifest the codes of your Jani Tara self, according to the groups that you have trained in and practice all the tools together. 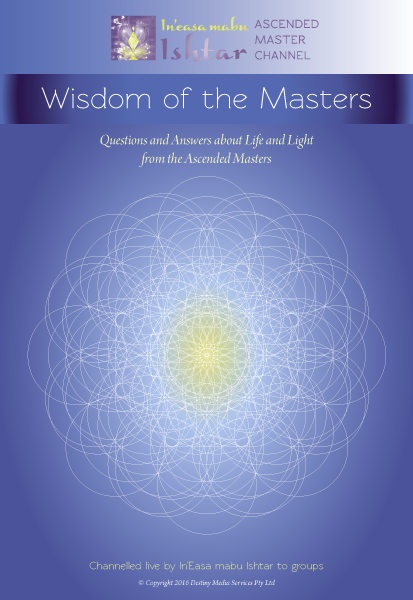 Plus the Christed Masters will share with you personal insights for your path ahead. Arrival on Crete at the retreat is on May 17th and departure on the morning of May 27th. You will learn to work with the energy portals and do ceremony at these places. So what can you expect if you come to spend 10 amazing days with Ishtar in Crete? It is a perfect opportunity to get all your questions answered. We will be staying at the Filoxenia Apartments in Lentas, Crete. Filoxenia Lentas Apartments are located in a small beautiful bay of the Libyan Sea at the picturesque seaside village of Lentas in the Prefecture of Heraklion. They are built in an isolated and quiet place just 200 metres from the village. Filoxenia Lentas consists of two separate buildings which offer comfortable and well-equipped rooms with private balconies. It is encircled by a beautiful garden and offers an impressive view of the sea. 3 meals will be provided each day. Breakfast: Homemade bread, marmalade, fruits, nuts, coffee, tea, yoghurt, tomatoes, cucumber, olives, Cretan rusk, cheese and eggs. Lunch and dinner are made with the finest ingredients including local virgin olive oil and many vegetarian/vegan options. A visit to Phaestus, one of the most important centers of Minoan civilization and the most important city in southern Crete, as well as Gortys, and the city of Matala, a traditional village. Phaestus is an ancient city on the western end of the southern plain of Crete about 3.5 miles (5.6 km) from the sea. The site was occupied from the 4th millennium BC, and its importance grew in the Early and Middle Bronze ages (c. 3000– c. 1600 BC). Gortys is also known as Gortyn or Gortyna and is one of the most important cities in Crete with an unbroken history of 6,000 years and one of the most extensive archaeological sites in Greece. It lies in south central Crete in the fertile Mesara plain, the site of the first human habitation of Crete at the end of the Neolithic period (5th millennium BC). Matala was the port of Phaestus during the Minoan period and then later the port of Gortry in the Roman occupation. There are artificial caves on the cliffs of Matala that were used as ancient tombs in the first and second centuries. Today Matala is a sleepy fishing village but in the 1960s is was a playground for fun loving hippies. The city of Heraklion and Knossos. Knossos is the largest Bronze archeological site on Crete and is called Europe’s oldest city. Settled in the Neolithic period, the palace of Knossos was the ceremonial and political centre of the Minoan civilisation and culture. It was abandoned around 1380-1100 BC but it is not know why. The huge archaeological site includes frescoes and baths. Heraklion is the port city and the capital of Crete. Guarding the city’s Venetian port is the 16th-century Koules fortress. Heraklion Archaeological Museum has a large collection of Minoan art. Boat trip to Moni Koudouma, a monastery on a local island dedicated to the Assumption. The initial church was situated in a small cave. The chapel was firstly built in the 14th century and was dedicated to Christ, but it was later abandoned or destroyed by pirates. In 1878, the Saints Parthenios and Evmenios began to build the monastery on the ruins of the old church. Today, it has been renovated and the old frescoes have been revealed. There is also a second, more modern church in honor of Saint Parthenios and Evmenios. The relics of saints are kept in the monastery. NOTE: Every participant MUST take out their own private travel insurance covering them for delay and cancellation costs, medical and loss of personal property. We do not take responsibility for these items. We will require a copy of this insurance. Validity of your passport - Check that your passport is valid for at least six months from the date you are departing the country. For information about health issues and vaccinations for Greece please speak with your own doctor. We take no resposnibility for this. A trip preparation document will be sent to you by our office assistant Raishael.